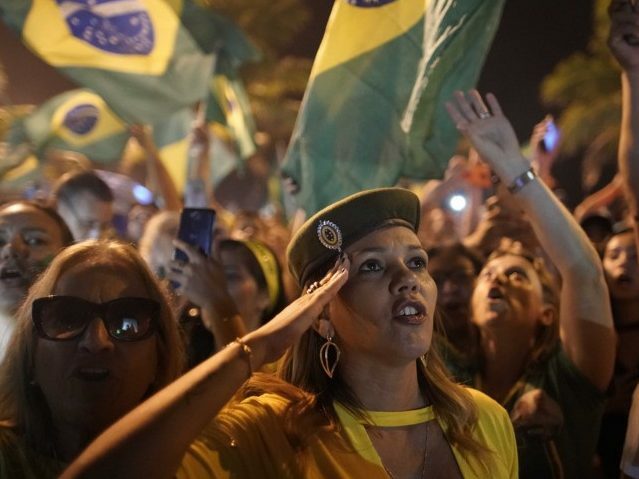 On Sunday evening, the 63-year-old former army captain romped to victory over socialist candidate Fernando Haddad with around 55 percent of the vote, to the dismay of progressives not just in Brazil but around the world. At one point, the crowd raised an inflatable doll of the country’s former socialist leader, Luiz Inácio Lula da Silva, wearing a prison jumpsuit, popularized in the 2016 protests against the PT. The Lula doll is formally known as a pixuleco. Lula is currently serving a 12-year prison sentence for his involvement in the “Operation Car Wash” corruption scandal.